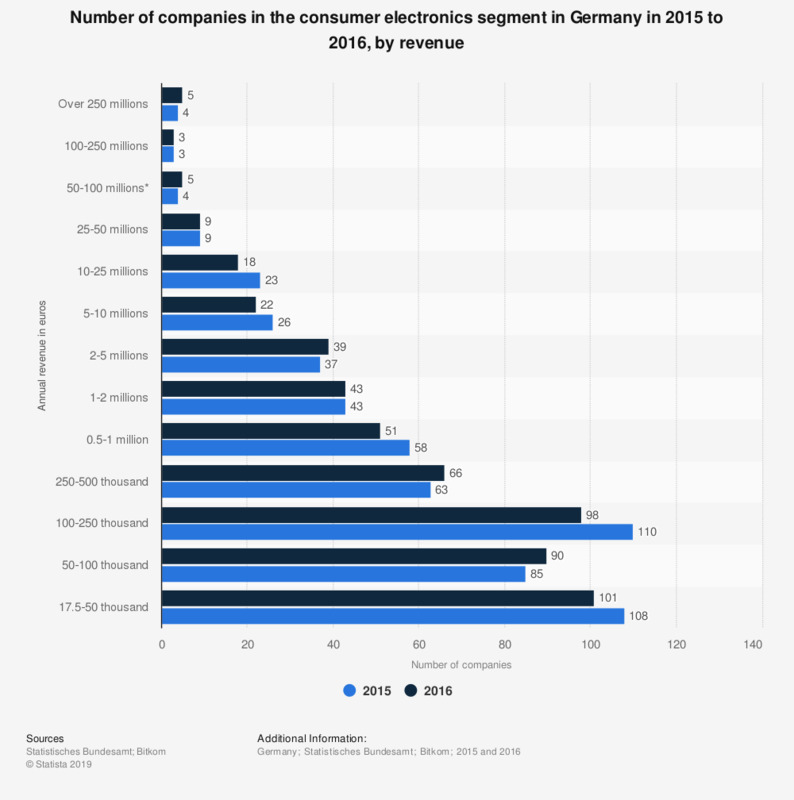 This statistic shows the number of companies in the consumer electronics industry in Germany 2015 to 2016, broken down by revenue. In 2016, there were 9 companies in the consumer electronics segment that generated annual revenues between 25 and 50 million euros. According to the source, this statistic counts all taxable enterprises (Consumer electronics WZ 26.4) with a total revenue exceeding 17,500 euros and due taxes exceeding 1,000 euros. Data on companies with a revenue of more than 100 million euros cannot be accessed due to tax secrecy.